I discovered chia pudding about a year ago when I was looking for an alternative mid-morning snack that was healthy and would keep me satisfied until lunch. Chia Pudding is perfect! Chia seeds are an incredibly nutrient dense superfood, packed with antioxidants, omega 3 fatty acids, fiber, quality protein AND calcium. ALL of that in that those tiny seeds! 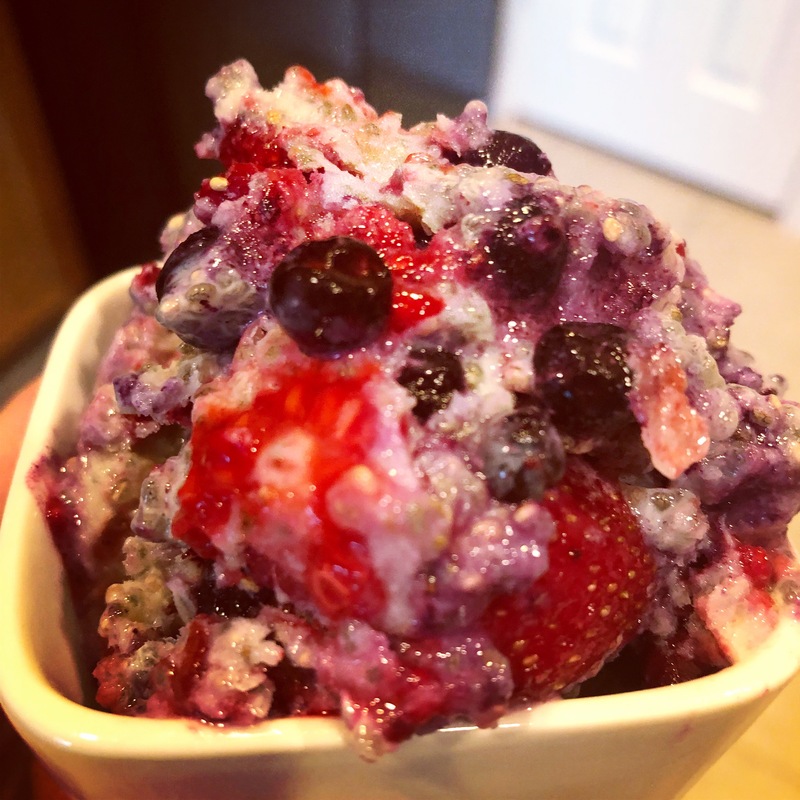 There are MANY ways to make chia pudding and you can make many substitutions based on your preference of fruits, nuts or milk, but this is how I enjoy it! 1/2 cup cashewsWhisk together all ingredients for about a minute and let set for about 15 minutes. Stir again, making sure to scrape bottom and sides of bowls to avoid clumping of chia seeds.Chia seeds will expand so be sure to use a bigger bowl. Enjoy while berries are still frozen or pack into individual containers and refrigerate.